In December of 1973 a decision I made would have the most significant influence on the rest of my life. It would take me to all corners of the globe and bring me the happiest, and some of the saddest, times of my life and would eventually provide me with a beautiful family with the same outlook on adventure and enjoyment. In December 1973 I made my first parachute jump. Fast forward 41 years to August 25th 2014 and a special time and place. 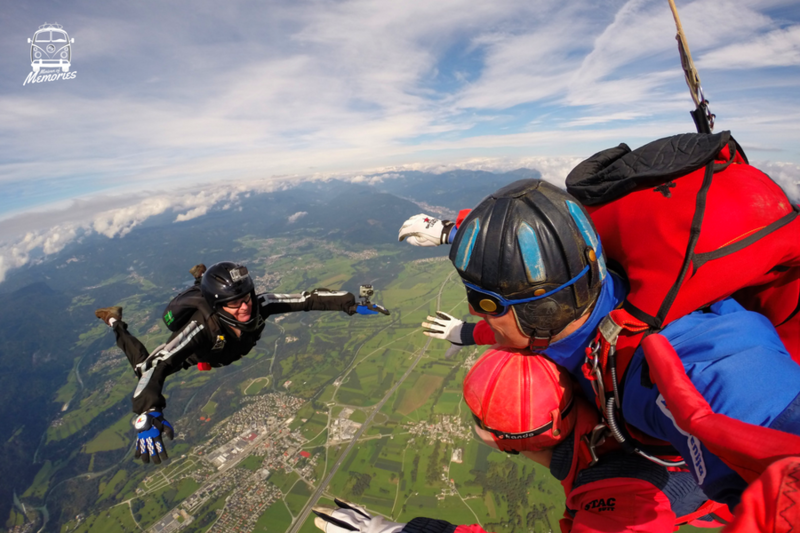 We are in Slovenia, at Skydive Lesce, Lake Bled. 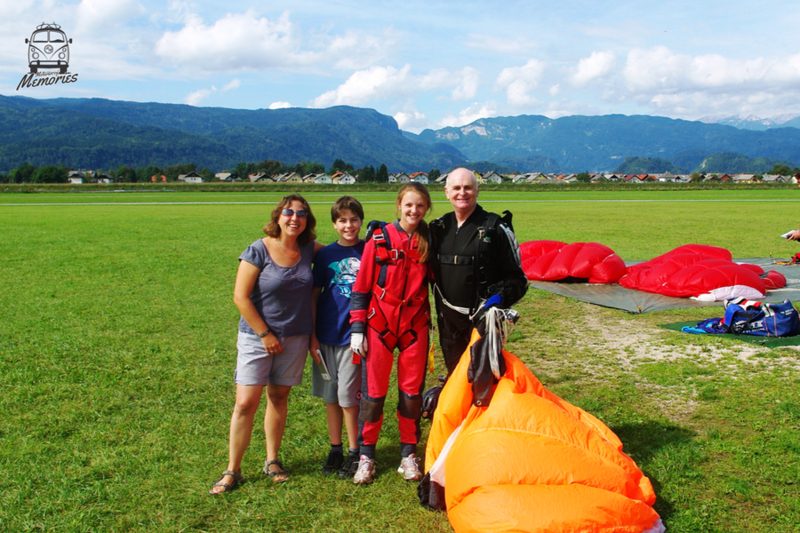 With me is my wife Sara, an experienced skydiver herself; it’s how we met in 1994, and our two children Lucy and Tom. Over Lake Bled I would be skydiving with both of the children to commemorate my decision to retire from parachuting and make my final two skydives. Having successfully jumped with Tom the time now came for The Last Skydive with Lucy. A beautiful location, against the mountains of the Julian Alps and with Slovenia’s national treasure, Lake Bled, nearby, you could not ask for a better destination to create a wonderful lifelong memory. Blue skies and a warm breeze made conditions for jumping perfect so I carefully prepared for my jump, checking my parachute and rehearsing in my mind what I needed to do once in the sky, something I had done many times before, but this time it was different- it was the last preparation! Lucy was being briefed by her tandem skydive instructor, Matjaz, and soon we were ready to go. Preparations complete, we all walked over to our waiting aircraft, a small 5 passenger aeroplane. After all climbing on board the engines revved loudly and we moved off to the runway and quickly took off into the blue, climbing quickly to give amazing views of the mountains and Lake Bled below. In no time we climbed to our exit altitude at 10,000 feet. The engines cut back and Matjaz with Lucy safely secured to his front moved to the open door and were gone. I pushed myself quickly out behind them and chased through the sky like superman diving down to link up with my daughter and film her exhilarated expression. All too quickly it was over and we landed safely at the airfield but it would be an emotional experience I will live with forever. To have made my final two skydives, after a lifetime in the sport, with my two children was very special. You don’t have to skydive to be overwhelmed by Slovenia. It is one of the most beautiful countries on earth.